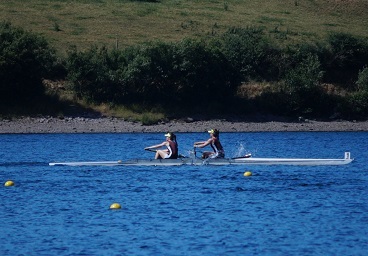 The Limerick Regatta marked the beginning of a long but very successful weekend for Jes rowing. 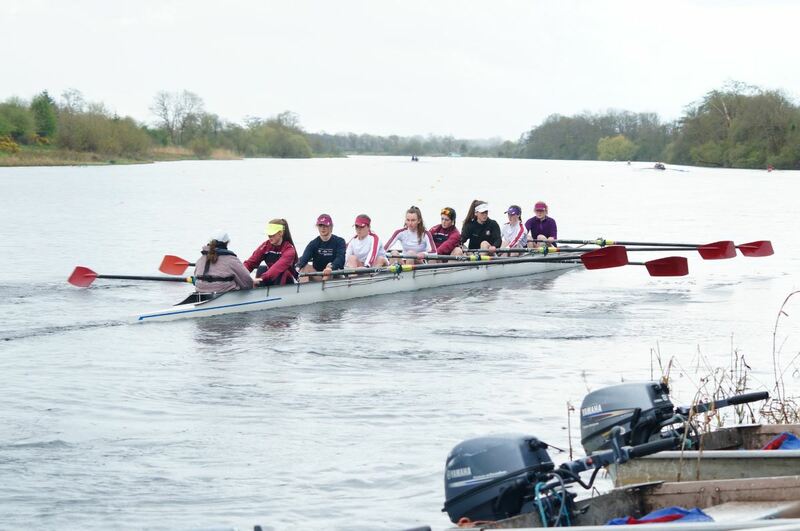 Buses left the club at the early hours of the morning to deliver the rowers to O'Briensbridge in time to set up for the first races of the day. Some mix-ups at the clubhouse meant that some smaller items of equipment were still in Galway. 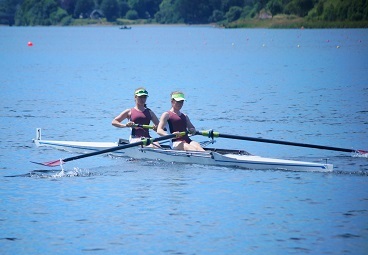 This prevented CIRC from entering 2 or 3 races. Luckily, some of the affected crews were able to borrow replacements. 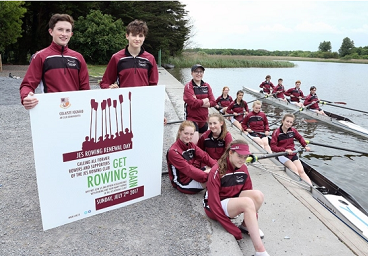 The Jes faced stiff competition from a number of Munster clubs, rowing into a light headwind on a warm sunny day that turned cool when the many clouds hid the sun. 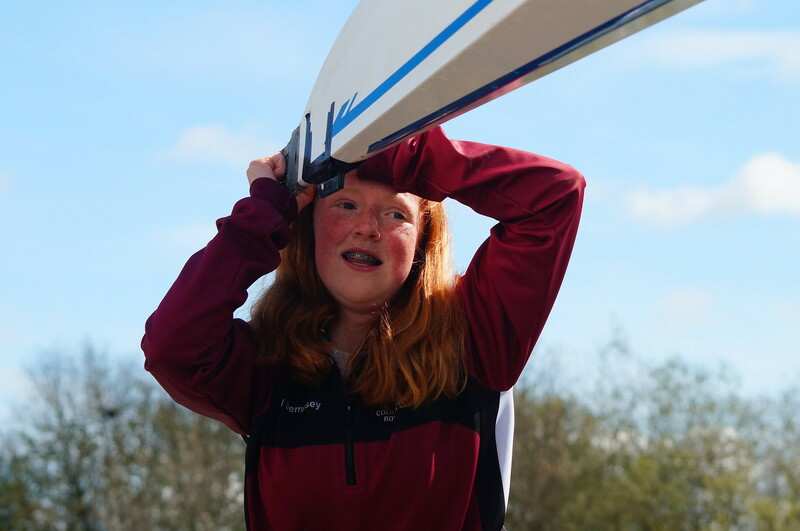 Throughout the regatta, Jes crews progressed through their heats, displaying the high standard of rowing that is a testimony to each crew member's hard work and dedication and the quality of their coaching. By the end of the day, 5 CIRC crews had been successful in the finals of their race categories, amassing a total of 27 medals between them. (The girls regularly train with the Irish u18 squad and hope to represent Ireland in an international competition, later this year). 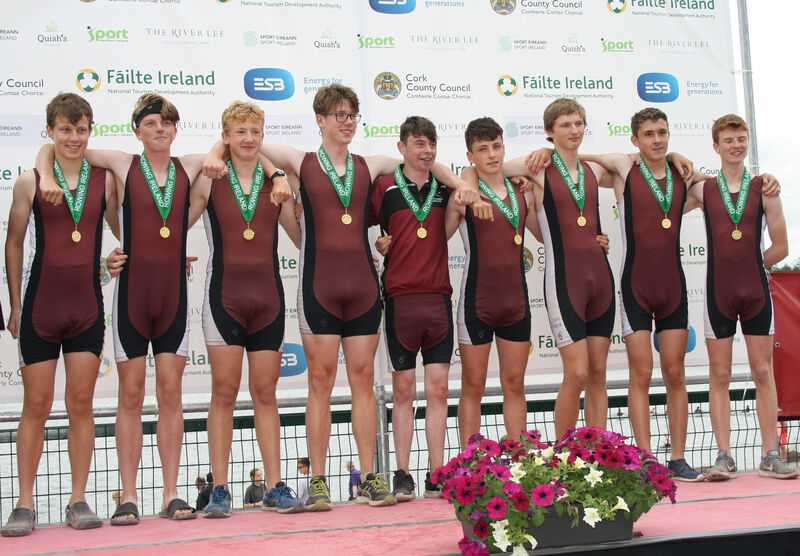 MJ15 4X Tom Maye, Felix O'Neill, Eamonn Gallagher, Fiachra, Sam Ryan (cox). 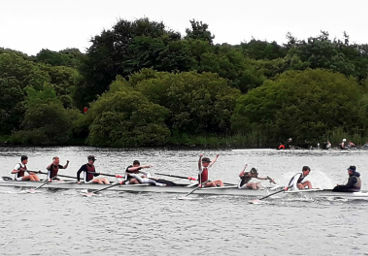 Following a successful day, the CIRC crews went home, roughly 12 hours after first setting off, tired but confident and looking forward to returning to the exact same venue, the following morning, for the Schools Regatta.